Dr Bill Deagle MD did a May 1st 2008 Press Conference at the Capitol Building in Hawaii. The Bill to Ban Aspartame was introduced by Rep. Mele Carroll and Senator Susan Chung Oakland. Attending was Jade a local activiist and other members of the local ban Aspartame action committee. Betty Martini provided documents for the committee, but the bill was not retabled in time to pass before the end of the Spring Hawaiian State Legislative Session. It must be passed this fall, and Dr Bill has promised to come back to help force this bill to protect the Hawaiian peoples. Also discussed at the press conference was the NotSO Depleted Uranium radiation hazards for people on the Big Island of Hawaii and Maui, downwind of the Pohakaloa Stryker Teams Testing Range and the Lanai Naval Bombing Range. Leuren Moret came with a team and proved that ambient air carried radioactive particles all over Hawaii with high counts in the above areas, using a radiation detector. DU causes neuromusclar illness and diabetes as well as obesity and cancers of an unusualy pattern. Monsanto’s attempt to get Hawaiian legislature to approve GM Taro for the Hawaiian high protein stable of Poi, is awaiting approval. This will destroy the health of the Native Hawaiians. The Codex Alimentarius approval possibly end of 2008 or 2009, is a danger to all peoples of Earth. The State of Hawaii and the USA must withdraw from the WTO and protest against any worldwide approval of the “Weaponized Food Standards” of the Food Rules though up by a Nazi in prison in the 1960s and adopted the UN FAO WTO for Food Rules or Codex Alimentarius for World Food Trade to the Toxic Lowest Common Denominator. 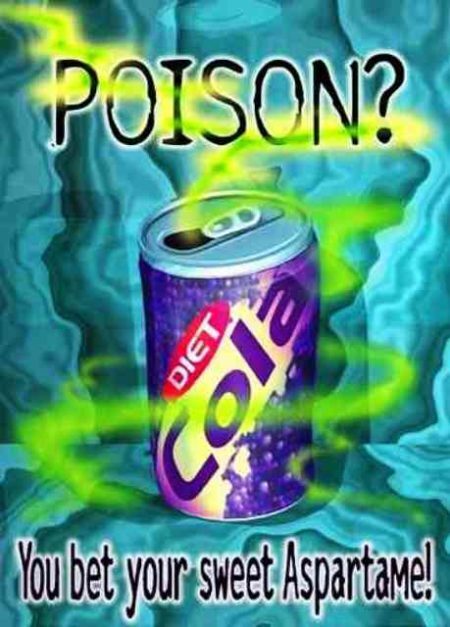 Use this to Ban Aspartame in Your Country or State, and contact Dr Bill and Dr Betty Martini with access to the best documentation of the toxicity of Aspartame.